Hi all - I'm so thankful that I found this forum. We have a Pottery Barn called "Heart Marquee Complete Lamp", the bulbs are slowly dying and we can't find replacements. I've called PB and they tell me that they can't help and I should be able to find them at my local store - HA! 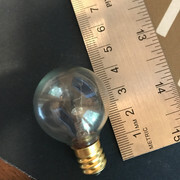 The bulb has an 11mm base, the bulb itself is 30mm x 30mm. The markings on the base are 120V 5W China and something else I can't make out, but it looks like SL. I've been googling for an hour and a half, no luck. Hi, welcome to the forum. 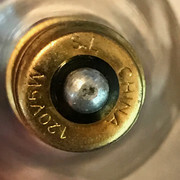 Please post a photo of the bulb that you're searching for if you're able to. Please see attached two pictures.